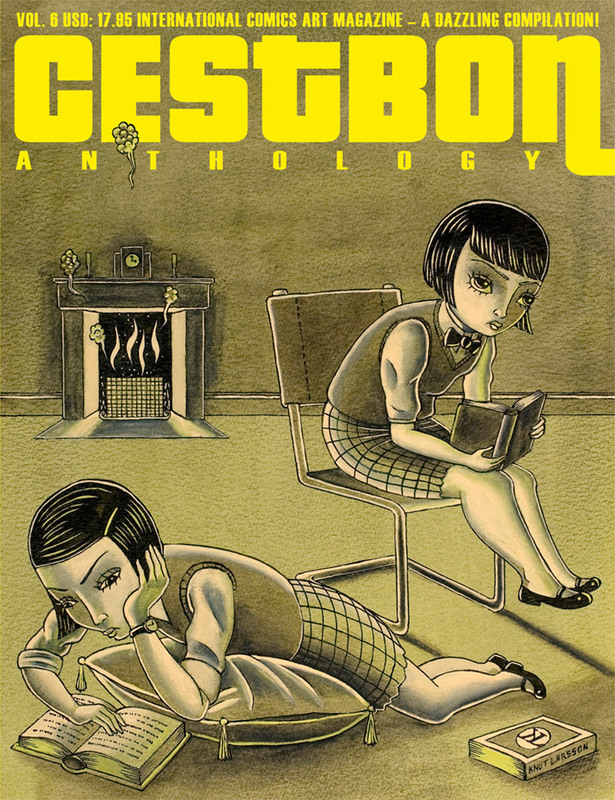 C'est Bon Anthology presents another brilliant anthology of international art comics. Visit the brain of Olivier Schrauwen, watch the watery apocalypse of Lina Blixt, read the unorthodox fairy tale by Chiu Kwong Man and get hit by the violence of Mattias Elftorp and more. Always top quality art comics, always complete stories. Authors: Chiu Kwong Man [UK], Fredrik Strömberg [SE], Jamil Mani [SE], Johan Jergner-Ekervik [SE], Knut Larsson [SE], Lina Blixt [SE], Mattias Elftorp [SE], Olivier Schrauwen [BE], Rebecka Lindberg [SE], Susanne Johansson [SE] ISBN: 978-91-976528-9-6.